However, it was the final race of the 2015 SCCA season and Jeff was blessed with road racing in his blood. It all started when he was around 10 years old. Jeff’s father drove a Porsche 911 in the International Motor Sports Association (IMSA). He also ran in several endurance events such as the legendary 24 hours of Daytona and 12 Hours of Sebring. By age 12, Jeff started helping out with the engine building. 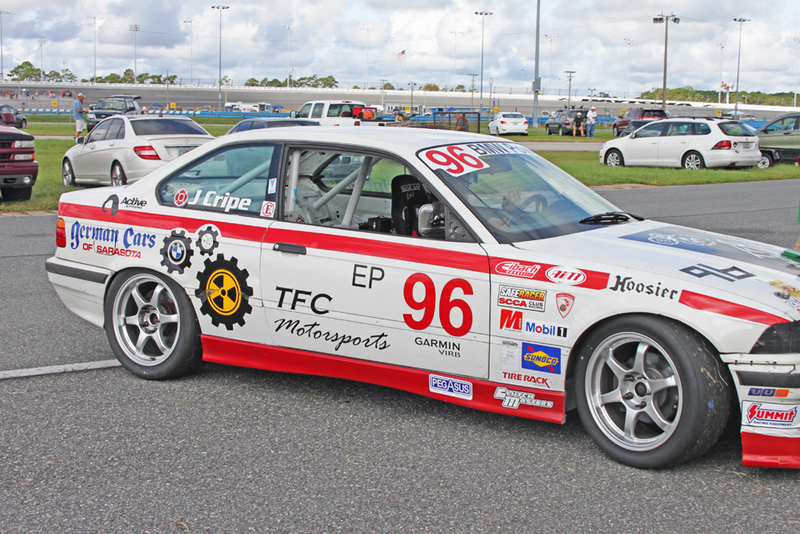 Seven years later, Jeff was driving in the SCCA whenever finances permitted. Not to make Jeff feel old, but he’s probably been driving in the SCCA longer than most of you reading this have been alive. After all, his 328is is old enough to have its own driver’s license. Speaking of his E36, we asked Jeff why he chose the legendary chassis for his campaign. He gave the response one would expect from an experienced racer with an appreciation for the legendary BMW heritage. At the conclusion of the 2014 campaign, Jeff transitioned his 328is into the E Production class. With this, came many changes to the car. One of them was setting up the suspension for racing slicks; but the most difficult change was getting the gearing dialed in. “It was a lot of work because we had no data to pull from. We had to essentially figure it out at the races” Jeff explained. 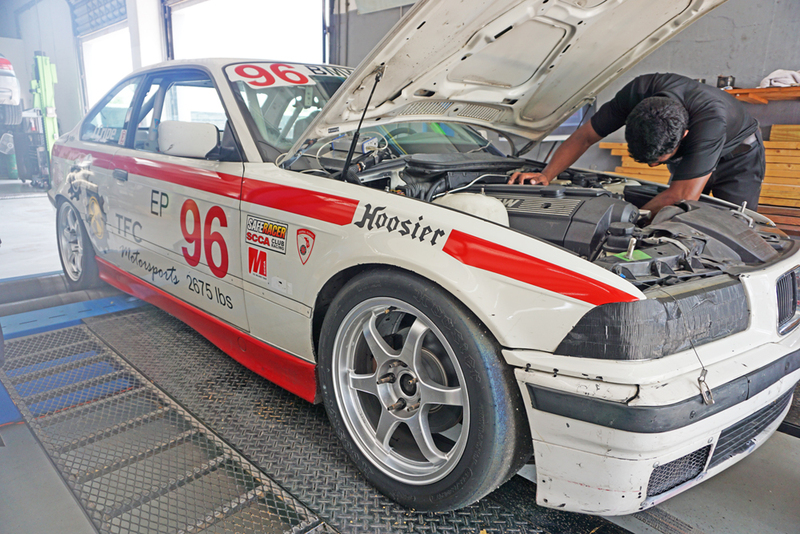 However, the hardest part about racing isn’t battling for track position, managing tires, or making sure he put together a competitive car for race day – according to Jeff, it’s getting his head right. Having dealt with a challenging and eventful 2015 season leading up to the Runoffs, this mindset would prove to be quite valuable. The entire season came down to one final race, at the most famous track in the world – Daytona International Speedway. After four qualifying sessions Jeff found himself sitting on P4, but was fighting a transmission issue which wasn’t allow him to shift into fourth gear. Thinking he had resolved the issue, Jeff joined the grid for the final race of the season. Unfortunately, it quickly became clear the issue was far from fixed. Turning into historic turn 1, he had already fell to sixth place. Upon exit, Jeff ran wide to the edge in order to advance in traffic and attempted to shift from third to fourth when it happened. He missed the gear, and to make matters worse, the shift knob came apart in his hand. This upset the car enough that Jeff put two tires in the grass – causing him to spin out. As Jeff pushed the limits of his BMW, his crew would radio in, informing him of his position every time he overtook another competitor. Once he climbed back to P5, Jeff found himself in an epic dogfight with a Mazda for the ensuing laps. It was all good fun, but the time had come to make a move. Lady luck finally showed her face when the car running in third place broke. This meant the next car Jeff passed would secure a podium position. 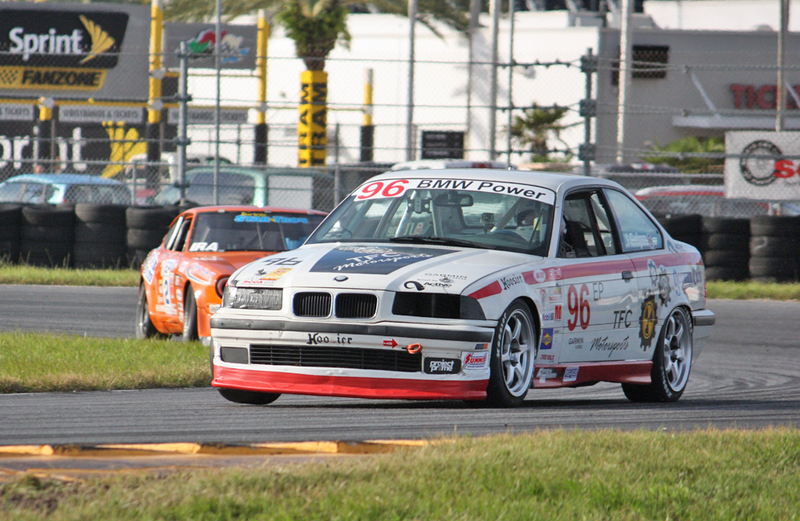 Going into the last lap, Jeff was reeling in the third place car – hoping that both he and his trusty E36 had enough to make it to the end. The crew radioed to Jeff. Jeff went wide on turn 6 and had to hit the bus stop perfectly in order to break the draft. 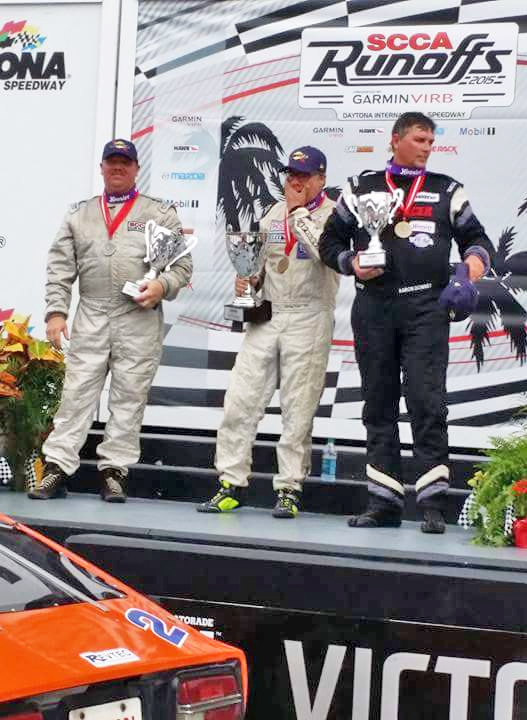 Jeff Cripe finished the final race of the 2015 SCCA season in 2nd place. As one of Jeff’s esteemed sponsors, we couldn’t be more proud of his overall success. 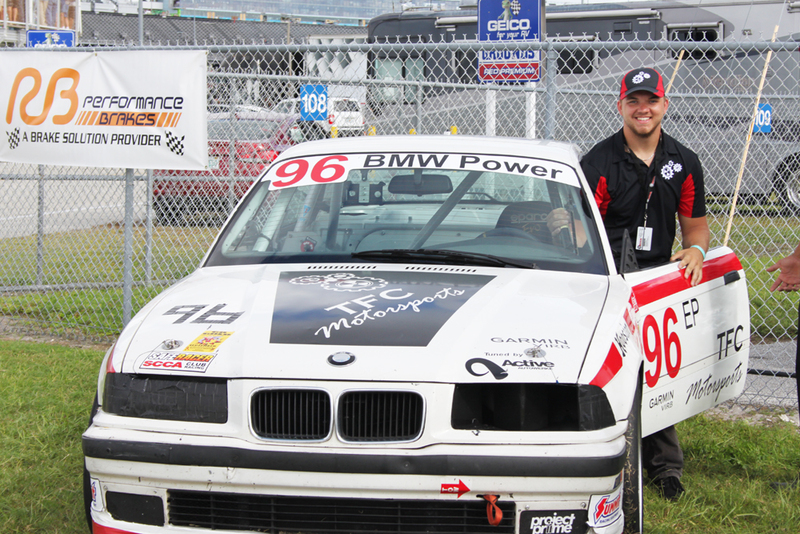 We have had a relationship with Jeff since he first built his E36. It seems like yesterday when he reached out to us for the first time and spoke with Karl about tuning the 328is. Jeff, all we have to say is – it’s been great having as you on the Active Autowerke team and we’re looking forward to doing even bigger things with you next year!